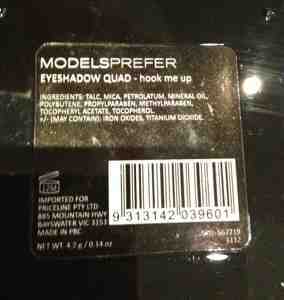 The Models Prefer eyeshadow quad caught my eye in priceline because of its everyday wearable shades. Gold and a bronzey brown is perfect for a day time look or you can play it up with adding a dash of purple and making it bright. 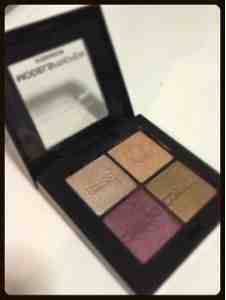 It is one of my go to eyeshadow quad as it is easy to carry and has 4 shades to come up with different looks. 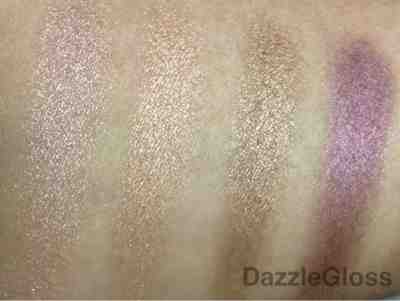 Above are the shades swatched with an eyeshadow brush. They are quite pigmented and creamy but they also have some fallout. 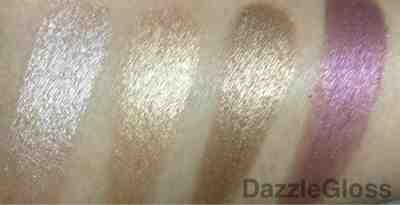 The above swatches were done using a wet eyeshadow brush. I wish they had included one matte colour but for $9.95 this is a great quad to add to your collection if you are into golds and purples. 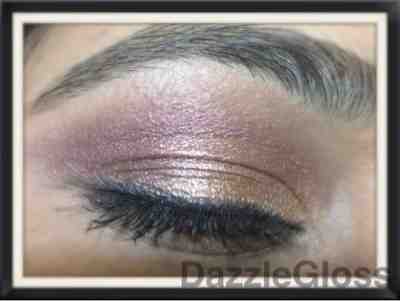 Below is an eye look I did using this quad and it definitely flatters brown eyes and medium skintones. I have very oily eyelids and without a primer these stayed on for about 3 hours. I am sure with a primer the eyeshadow would last longer. Above is a picture showing how the shades would look in artificial lighting. For a soft day look you can use the eyeshadows dry but to make them stand out for a nighttime look I would suggest using them wet. Have you used Models Prefer eyeshadows before? What do you think about them?